Bolivian President Evo Morales said that the Chilean government under former dictator Augusto Pinochet had made a secret agreement in 1975 with then Bolivian dictator Hugo Banzer to Bolivia to grant Bolivia land to have access to the Pacific Ocean. This was an attempt at the time by both dictators to normalize relations between the two countries. 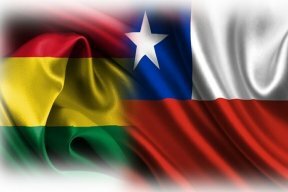 For well 100 years, Bolivia and Chile have had frosty relations after the War of the Pacific, fought between 1879-1883, in which Chile defeated an alliance consisting of Bolivia and Peru. Chile annexed 120,000 square kilometers of Bolivian land, and hence deprived Bolivia of access to the Pacific Ocean. Since then Bolivia has been a landlocked country. As far as the Chilean government is concerned, the land it had won in the War of the Pacific is now Chilean territory and that Bolivia’s claim is irrelevant. The Chilean government also claims that the agreement between Pinochet and Banzer is also irrelevant since it was made without any vote by the Chilean people. Morales is doing everything he can to get lands in a war fought long ago back (hopefully short of war). A good reason why Morales is stirring the pot now is because he is stoking Bolivian nationalism and is trying to keep his grip on power. The Chilean government contends that previous Bolivian administrations accepted the current Bolivian-Chilean border and that Bolivia actually signed a peace treaty to that effect in 1904. Morales has even taken the whole question of the Bolivian-Chilean border dispute to the International Court in the Hague in 2013, but the court has yet to take up the case. It is becoming obvious that Morales is trying to keep this dispute alive rather than find any resolution with Chile. Could it all lead to another Bolivian-Chilean war? Only time will tell.